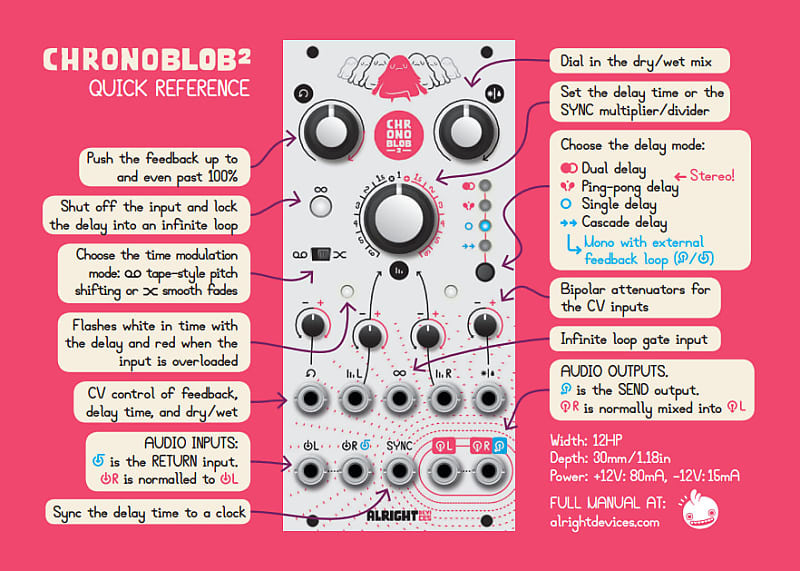 Chronoblob is a digital delay module capable of synchronising with an external clock. Patch one to the SYNC input and choose a multiplier/divider for rhythmic delays. 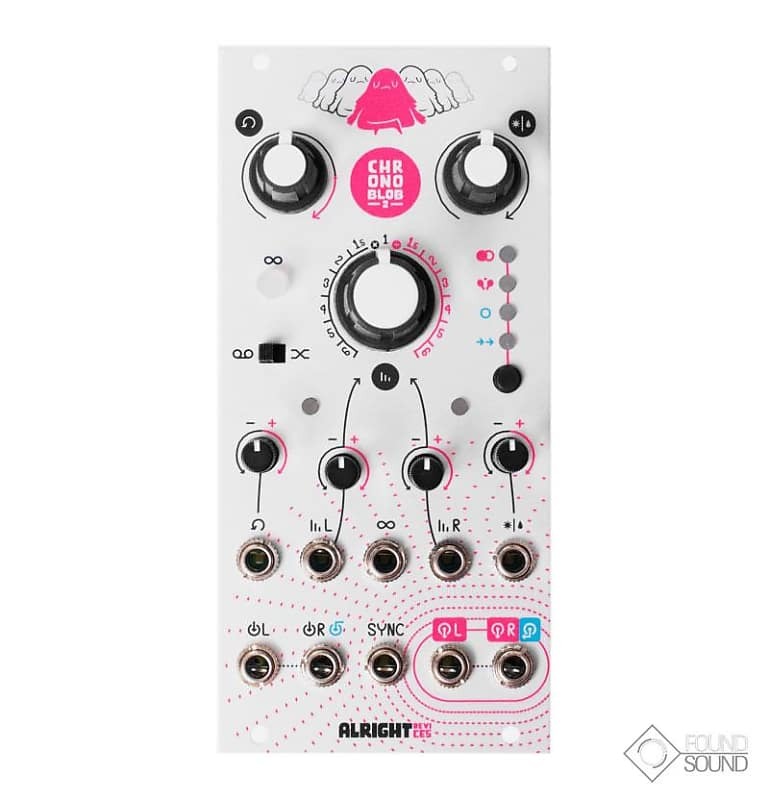 Chronoblob's OTA-based analogue FDBK circuit is CV-controllable and can be pushed up to and beyond unity for near-infinite decay or harsh saturating feedback.